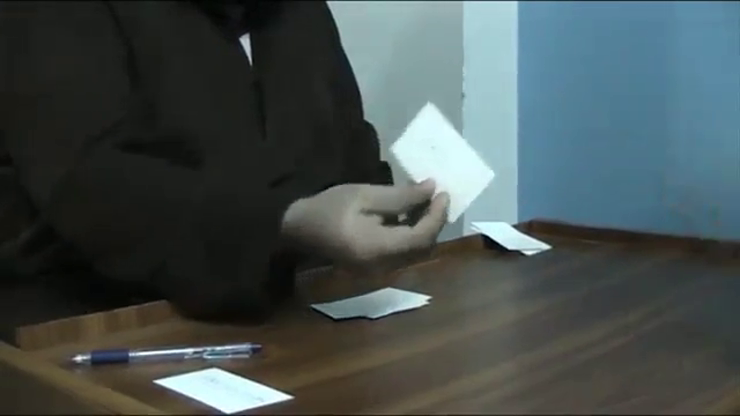 A Powerful, Visual and Impromptu Mentalism Effect! This impromptu effect will empower you to predict what name your spectator will choose. You can even send your prediction by mail long before you intend to show this amazing effect. Your spectator will keep the sealed envelope and open it only after the effect is done. You will stay far away from the envelope... and the prediction will match their selection, always. You will use 8 business cards in this effect. You can even borrow them. Write down 5 different names on 5 of the cards. Write your prediction on the 6th card. The last 2 cards will be numbered in front of your spectators and your spectators will see that nothing is written on them. Now... Mix up the 5 cards with different names written on them. Have the spectator deal them on to the table next to each other. You will instruct them to choose a card. Have them take out your prediction... and they will match. Now... Wave your prediction on the numbered cards... and the name of their selection will magically appear on one of the cards. This effect is very easy to learn. In fact, you will be ready to perform it in just a few minutes after you learn the secret. So, don't wait... because it's time to make flawless predictions.